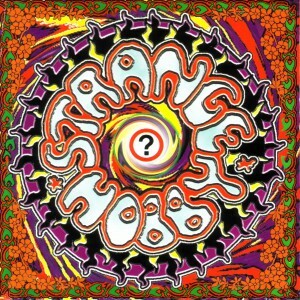 STRANGE HOBBY was previously released in 1996 WITHOUT SAYING WHO THE ARTIST WAS! Most Ayreonauts now know that Arjen was the mastermind behind “Strange Hobby,” and that the album has been OUT OF PRINT for OVER A DECADE. This has turned it into a much sought after collectors’ item. We’re happy to announce that Strange Hobby has just been rereleased with FOUR bonus tracks which were not available on CD previously. This re-release of “Strange Hobby”, the first on Arjen’s own Aluca Music imprint via Cherry Red, is likely to be a big surprise to many of his fans. Back in 1996 I had so much fun recording Strange Hobby! It was great to take a break from recording my complex, bombastic Ayreon prog-extravaganzas and blow off some steam blasting out these rocky cover versions of my favorite songs from the sixties. I hope you’ll enjoy listening to this psychedelic blast from the past as much as I enjoyed recording it! Groovy!